This app is very basic. American everyday foods are barely listed. Not worth the $8.00. Download the free app instead. Unless you want the fancy calendar this app has. That’s my one and only favorite feature. 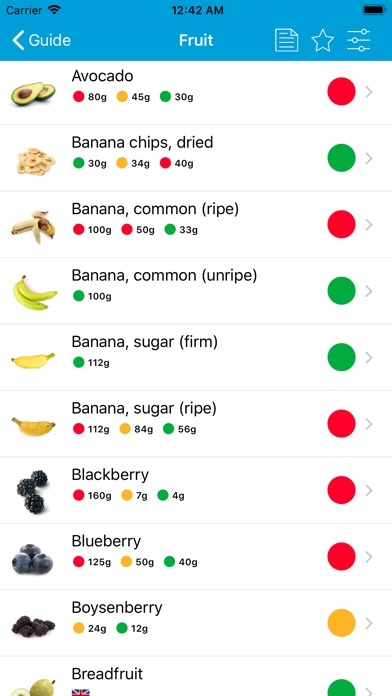 Future version: Add mention of which FODMAP is the culprit for foods labeled red and yellow. Next to nothing (outside of the basics) is listed in here. This app is a rip off without a doubt. Use google instead! 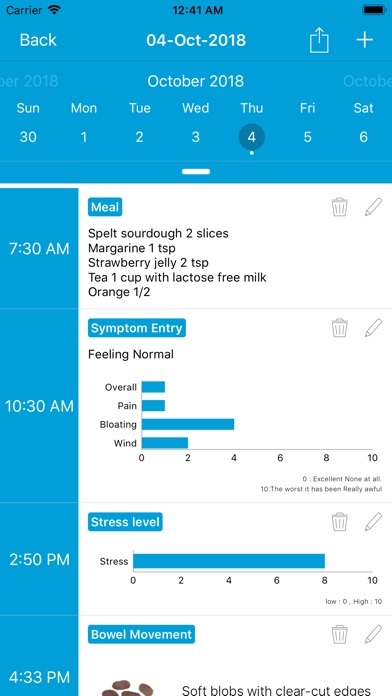 I have recently been diagnosed with SIBO and find this a really useful guide. I admit that I don’t follow it exactly and have tried to figure out what bothers me based on experience and referring to this app. I am in denial about wheat flour but I may have to test all categories. 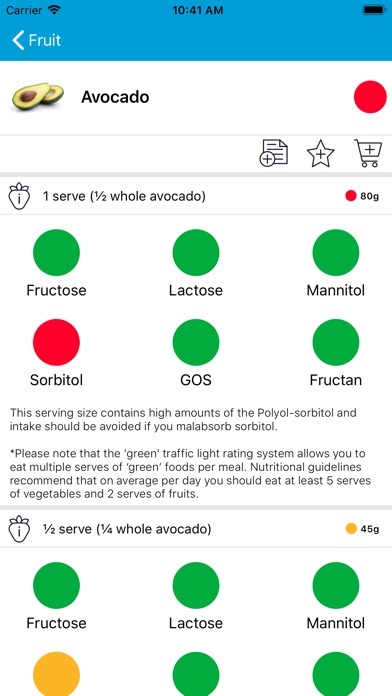 I know lactose, onions and garlic are major problems and can assume some other things by looking at this app. Some things I assumed would be a problem are not in the category according to the app. My only complaint is the lack of font control. I find there isn’t enough contrast, making it hard for my old eyes to read. I would definitely recommend this app. 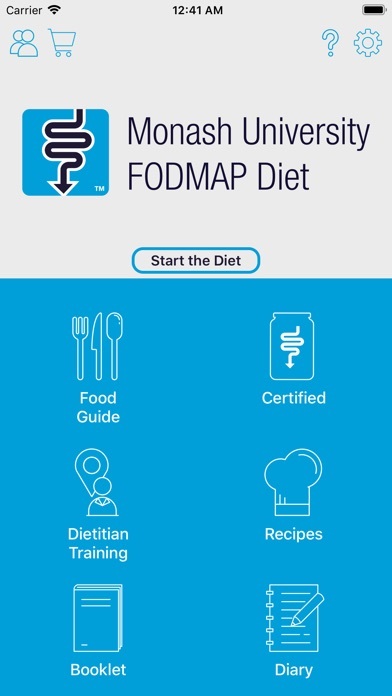 This is a nice app for FODMAP foods. It doesn’t have all foods, but has a lot of the big ones. And they add new ones as they test them. I only wish it had an offline mode. I don’t always have internet at grocery stores, which makes it difficult. 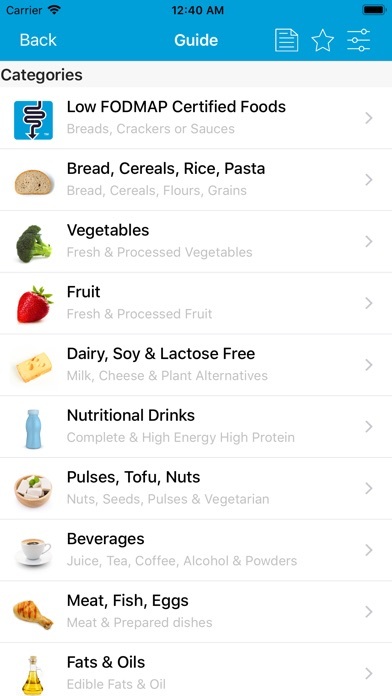 Does not include some popular items. For example, I didn’t see gellan gum, which is in a lot of plant based creamers. It could be under a different name. I didn’t see coconut milk-as in the carton kind you use for cereal and that Starbucks uses. I didn’t see locust bean (in creamers/milks), but I can guess at that one. Otherwise, it’s helpful. Absolute waste. There is limited info on here for the price. 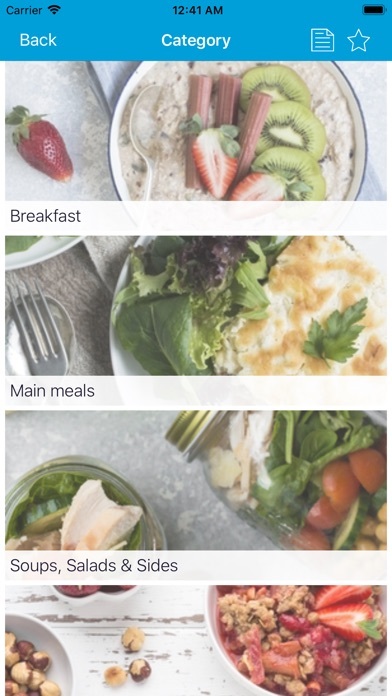 You can follow Low fodmap people on Instagram for hundreds of free recipes. This one had maybe 20 basic recipes on there. Literal waste of money. Research google and Instagram lowfod map people and get better info free. I’d like a list of recent searches- if I’m eating something new we often need to double, triple check how much I can have since I didn’t really visualize what it looked like as a serving when we bought it, or what it would be served with. It would be handy if the notes were clickable to expand, or at least color coded. When I first started they meant one thing to me, then I reversed their meaning. Now I’d like to know what I mean... did I mean “eat endlessly” (for all practical purposes) or what? It’s annoying to spend too much time thinking about what I can eat, although I guess I’ve spent too much of my life wondering why I had to eat since it “did things to me” that messed with how I felt.